A complete Field Cleaning Kit with 3-Piece take-down rod. It's a portable, self contained cleaning kit in a reusable tube. 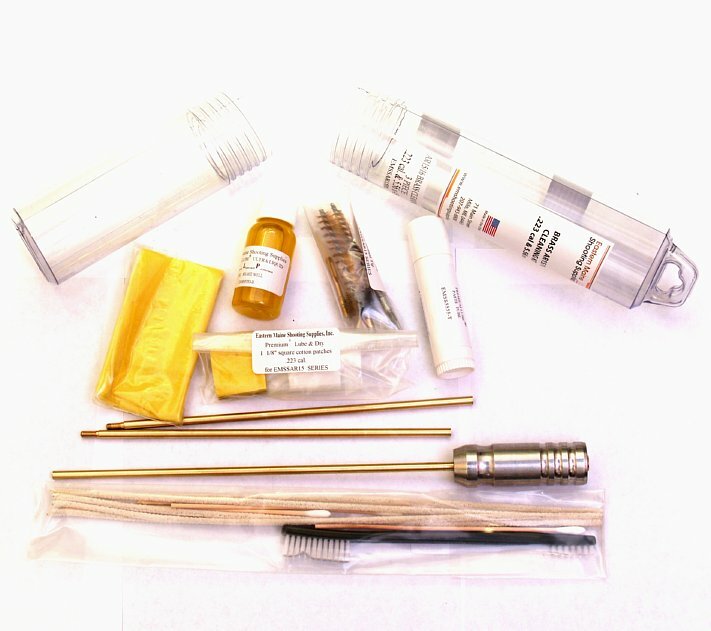 Brass rod with rotating handle, Premium Lube® Ultra Liquid Cleaner Lubricant Protectant , Premium Lube® Stick, Premium Lube® and Dry cotton cleaning patches, cotton tip swabs, gas tube brushes, bore brush, bore mop, brass slotted tip, utility brush & chamber brush. See more at our Eastern Maine Web Page.